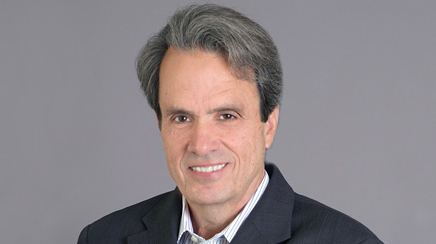 Fred Cook, CEO of GolinHarris since 2003, oversaw a shake-up last year that infused fresh talent at the top and sought to realign around skill sets that will carry the firm through a significant growth spurt. Fred Cook, CEO of GolinHarris since 2003, oversaw a shake-up last year that infused fresh talent at the top and sought to realign around skill sets that will carry the firm through a significant growth spurt. Cook wants to double revenues by 2020 through organic growth and acquisition. Golin's global revenues are between $150 million and $200 million, the bulk of which are generated in the US, placing it squarely in the large agency category, but at about half the size of Fleishman-Hillard, Weber Shandwick, and Edelman. The firm reported 9% organic global growth last year, excluding its three acquisitions: S2Publicom, McDonald's agency in Brazil (in partnership with Weber); digital agency Fuse in London; and Nicole Weber Communications, a German consumer lifestyle firm. The agency's largest accounts reveal its strength in consumer marketing, as well as corporate positioning: Nintendo, Dow Chemical, Unilever, and McDonald's. It also works with retail giant Walmart, primarily on Hispanic communications. Golin continues to expand its work with Unilever, its fastest-growing account, recently picking up Bertolli and Slim-Fast. The firm now represents 20 of the CPG giant's brands. Other recent wins include OraSure Technologies, Equinix, and Navistar. A consolidation of PR firms at Nokia shut Golin out of the account, as did a consolidation by Underwriters Laboratories. As Golin approaches its 60th birthday, the agency looks to increase international revenues, particularly in emerging markets such as China and Latin America. The firm also wants to increase the size of its corporate, tech, and healthcare practices, says Cook. Three aggressive, young leaders were promoted earlier this year to achieve these goals: Gary Rudnick, who Cook credits with doubling the size of its Chicago operation, now runs the Americas as president; and Jonathan Hughes and Matt Neale were promoted to co-presidents of international operations, having already tripled London revenues. The firm recently shuttered its two-person lobbying team. Last fall, Lane Bailey left his decade-long role leading Golin's public affairs practice. Industry veteran Joe Clayton replaced him. Public affairs remains a priority, says Cook. Cook expects the g4 agency redesign introduced last June to facilitate growth. The new model did away with traditional PR titles in favor of organizing around skill sets – strategists, creators, connectors, and catalysts. It includes training for staff and The Bridge, a network of media monitoring and production rooms serving its offices, which won the PRWeek Award for PR Innovation of the Year.